Search among the top whisky retailers! Use our website’s advanced whisky finder to find the best prices in Single malt, Scotch, Rye and a wide range of other whiskies. 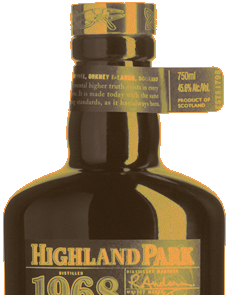 We find the right whisky for you at the best prices online. Whether you love Scottish, American, Irish or Japanese whisky, or whiskies from all over the globe, our site has your tastes covered with our expansive selection. Buy it for yourself or find a special whisky gift for someone. Or allow us to suggest a new brand to try, based on your taste and price point, or read our reviews of popular brands, such as Glenlivet, Balvenie, Chivas Regal and many others. Tune into our regular video podcasts and soon, you might find yourself becoming a whisky connoisseur too! The team at Whisky Marketplace loves to recommend new whisky choices. Each month, we choose our favourite whiskies from our special offers and new releases selection, as well as some popular classics. When making our decision, we choose among a range of regional whiskies, such as Scotch single malt, Irish and American whiskey, Japanese whiskies, and some promising spirits from the World Whiskies category including some selections from New Zealand.